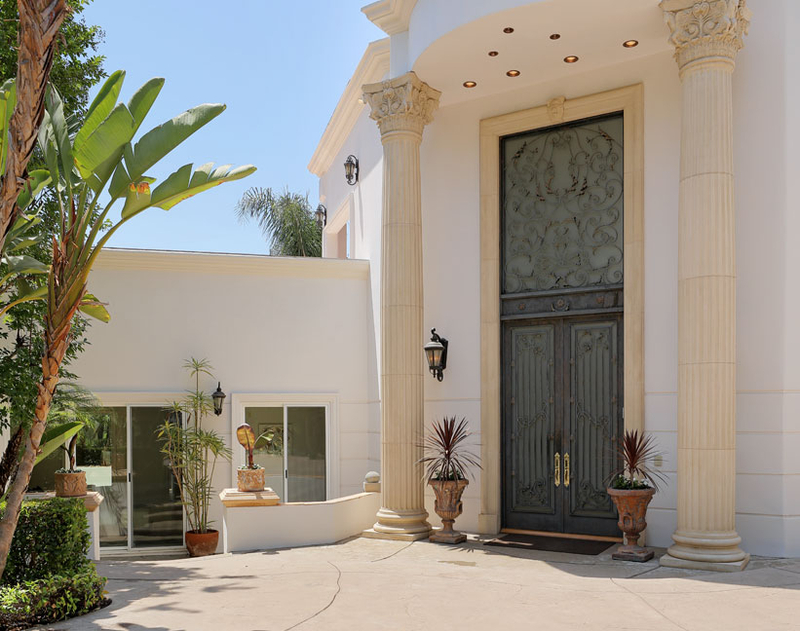 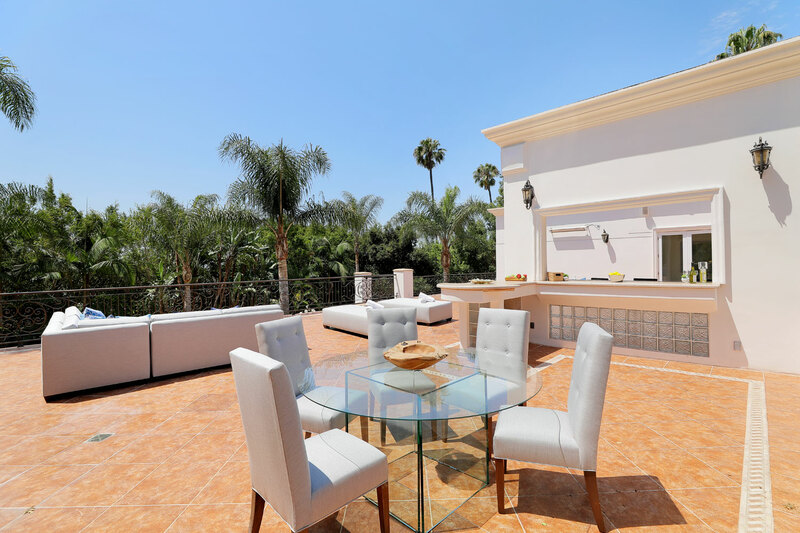 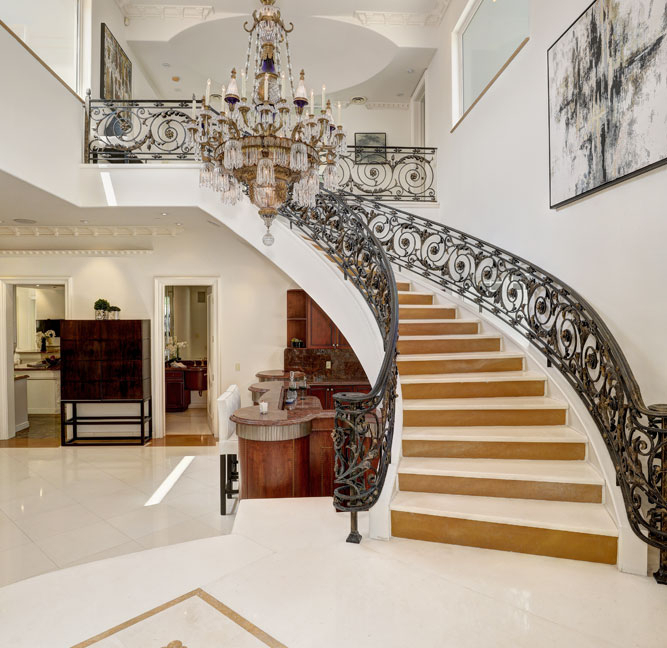 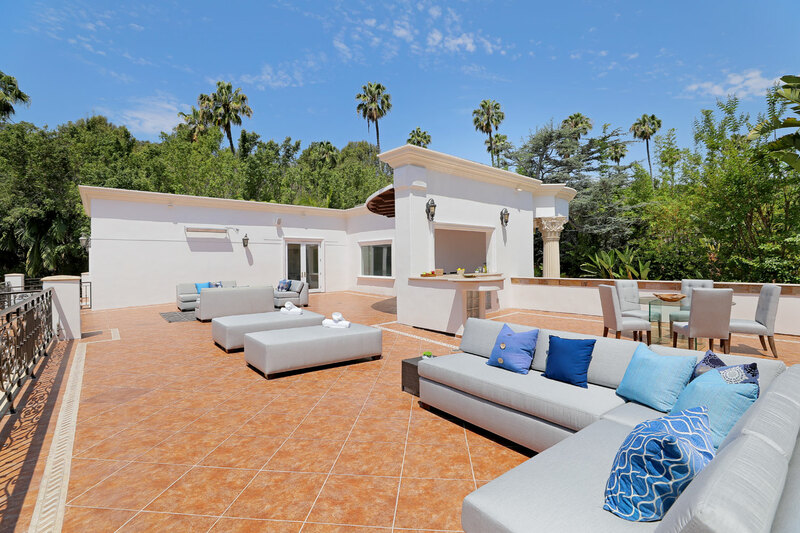 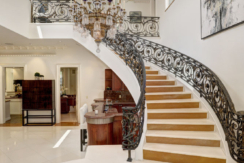 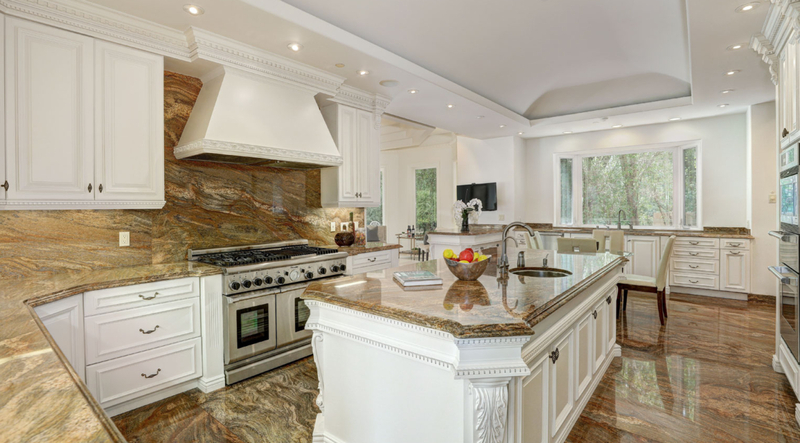 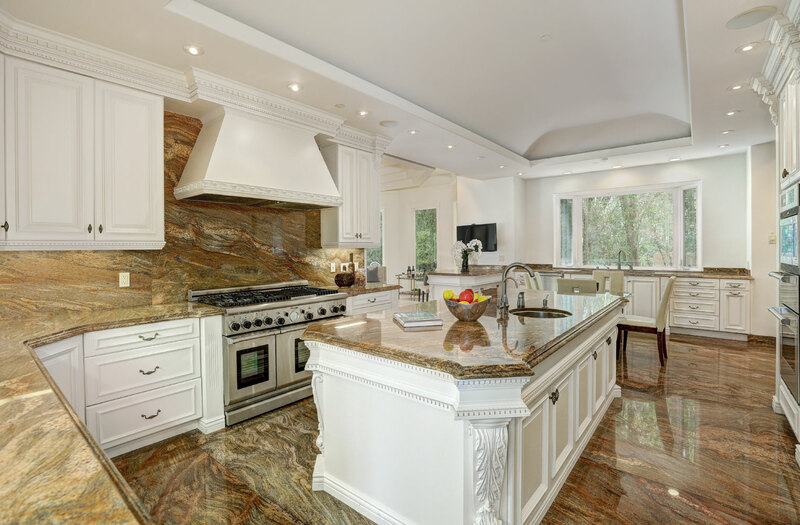 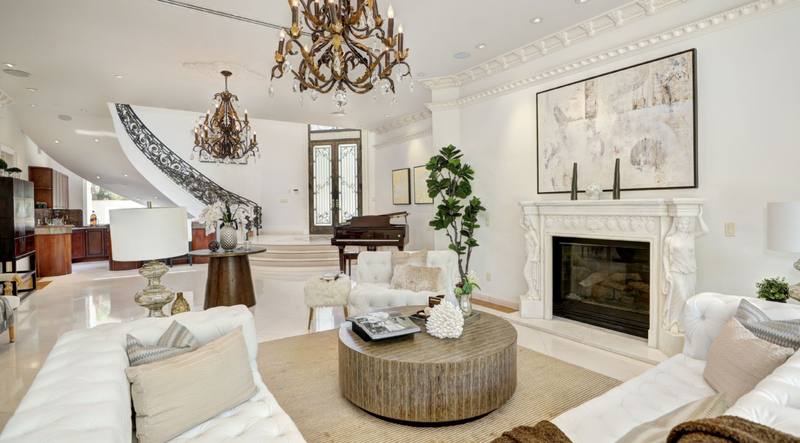 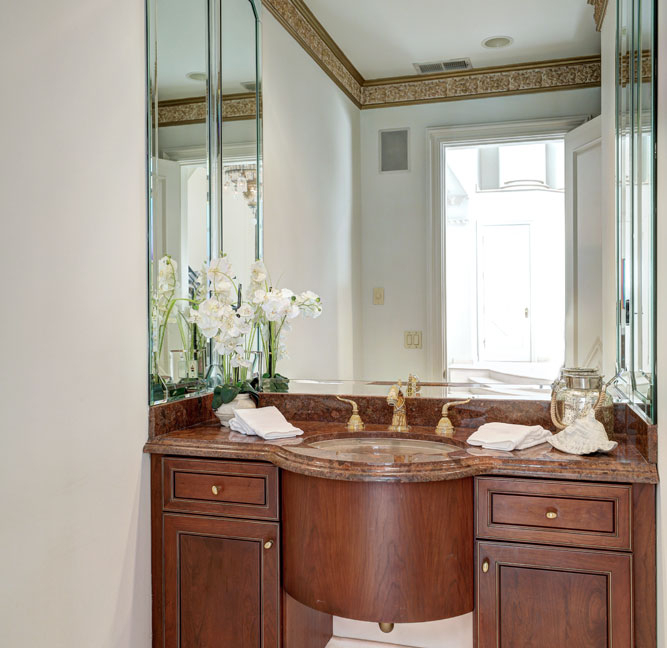 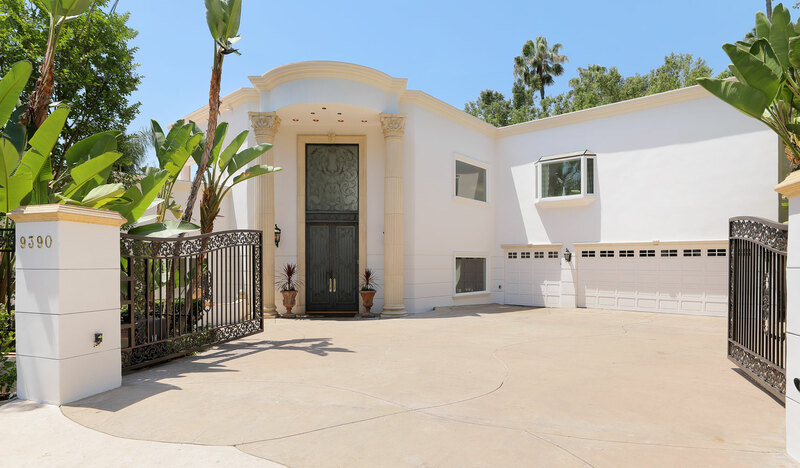 Sophisticated European Estate in prime Beverly Hills north of Sunset in a flat cul de sac. 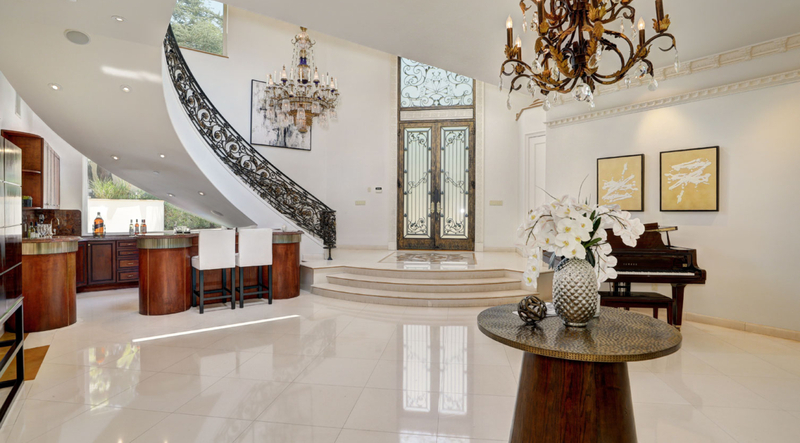 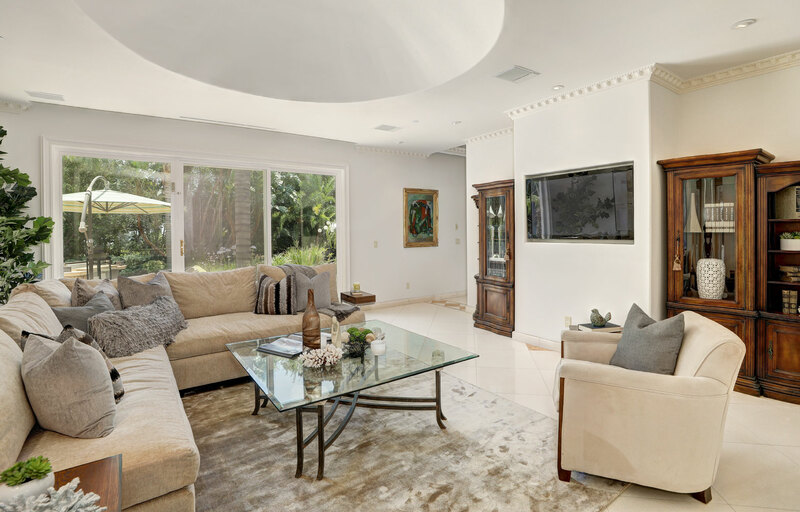 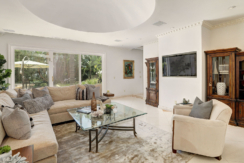 This home has incredible scale and volume with very high ceilings. 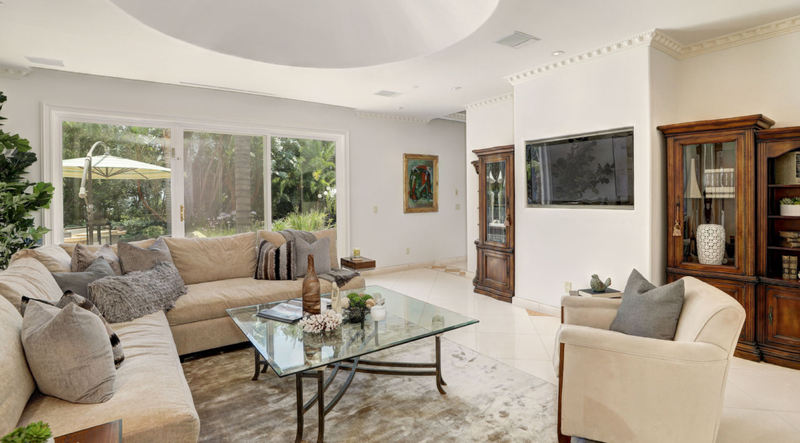 The first floor has a great indoor outdoor flow with expansive living room, large den/family room, office/library. 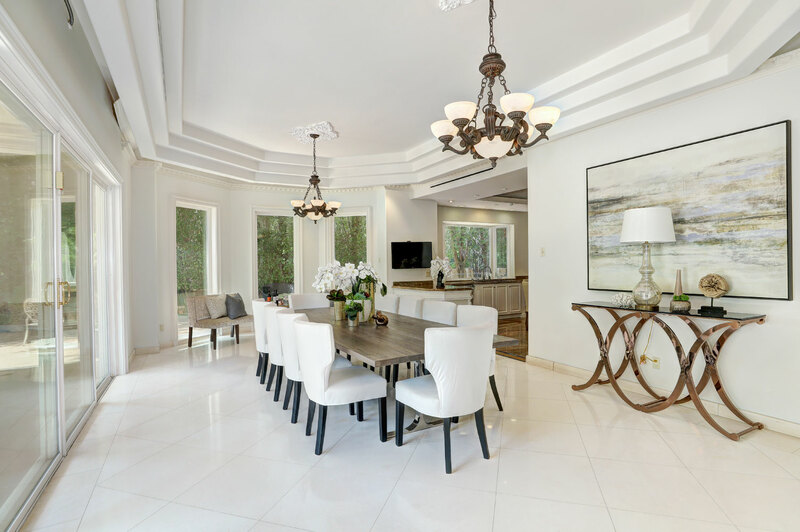 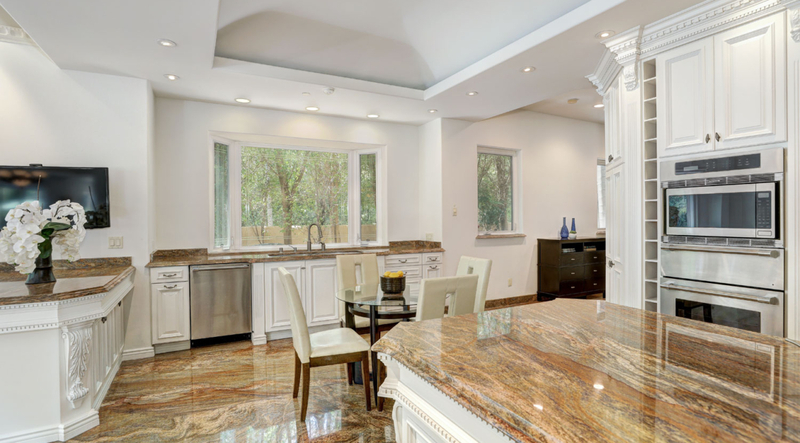 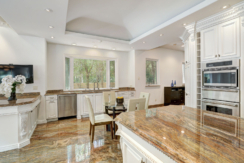 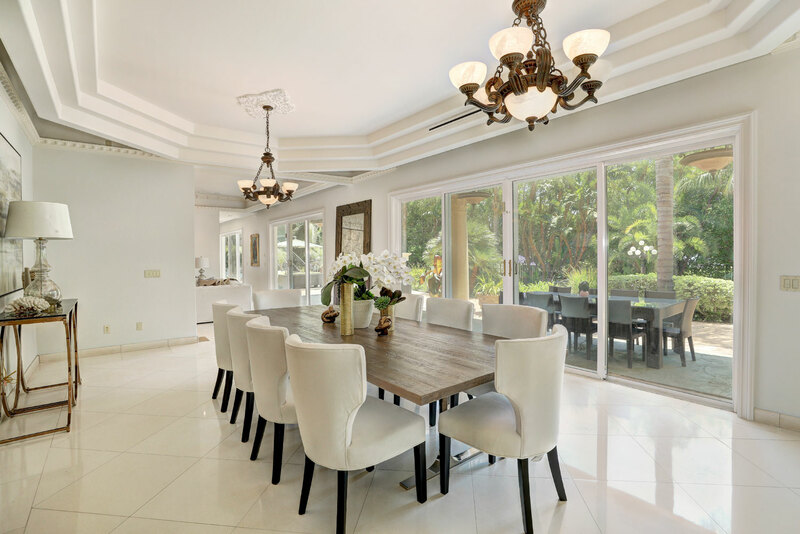 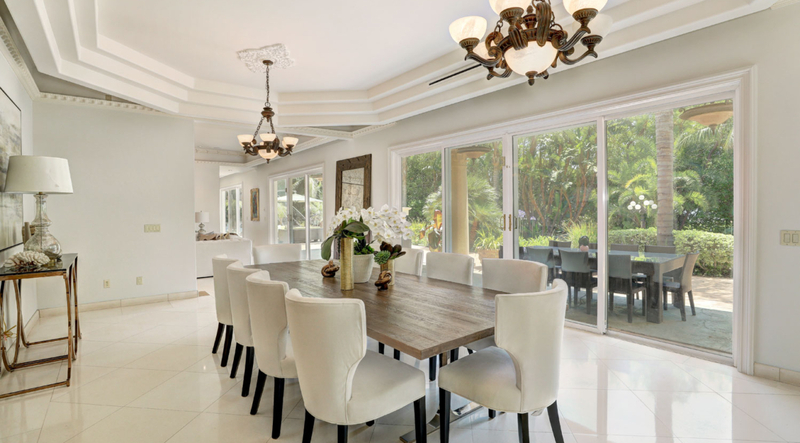 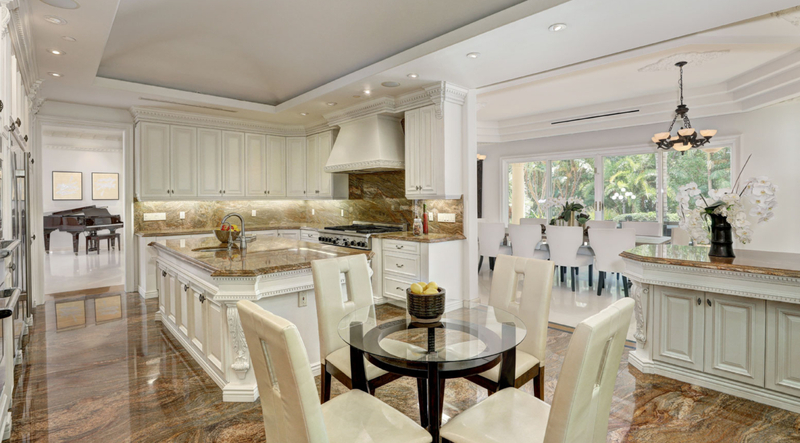 Open formal dining area and large center island kitchen. 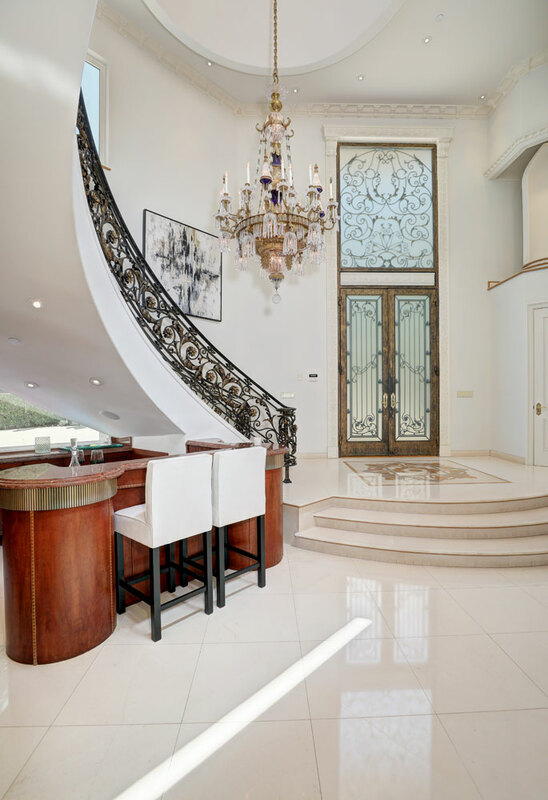 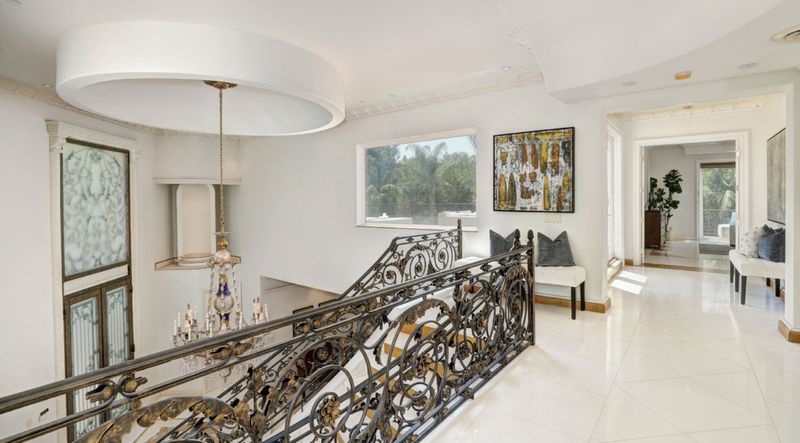 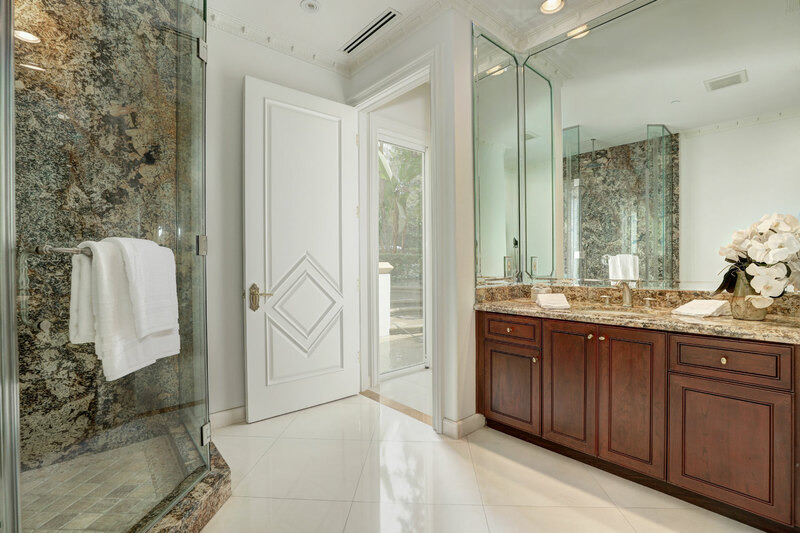 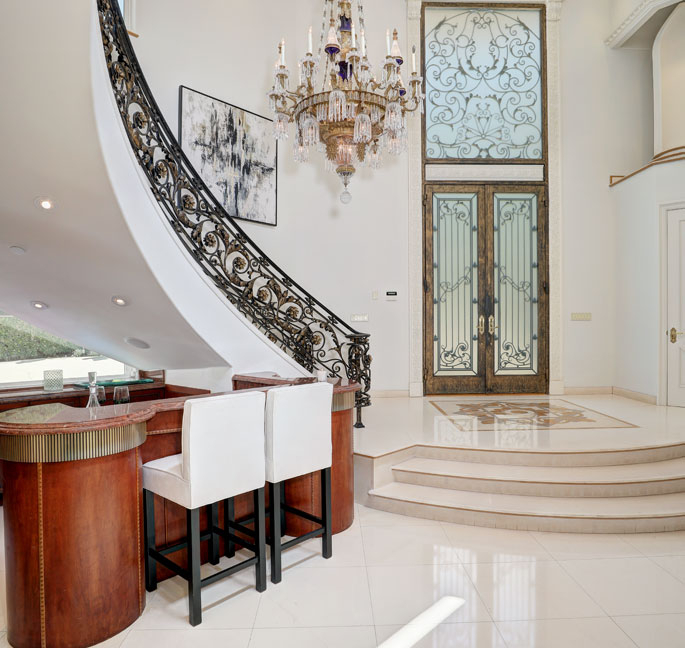 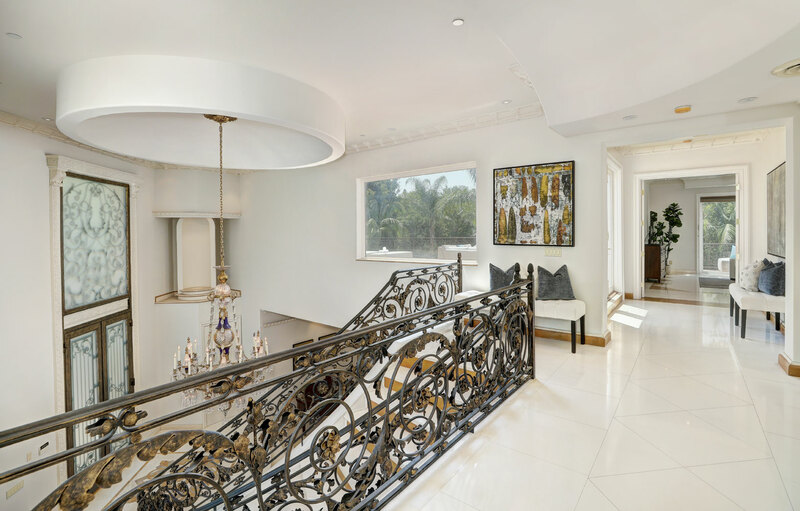 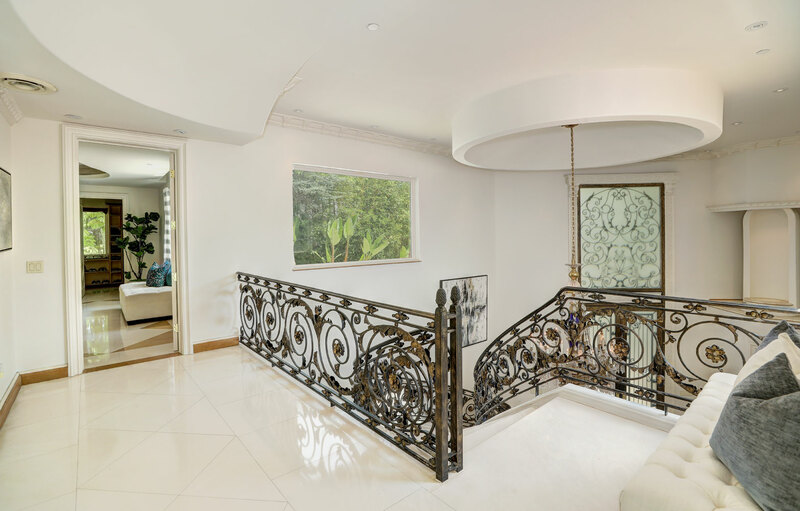 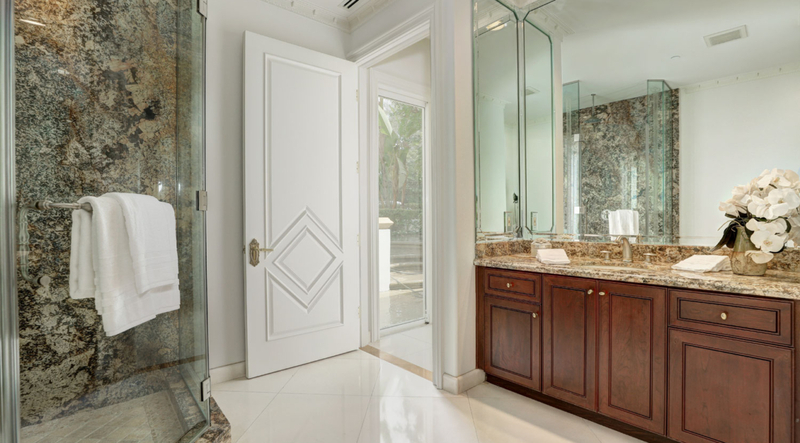 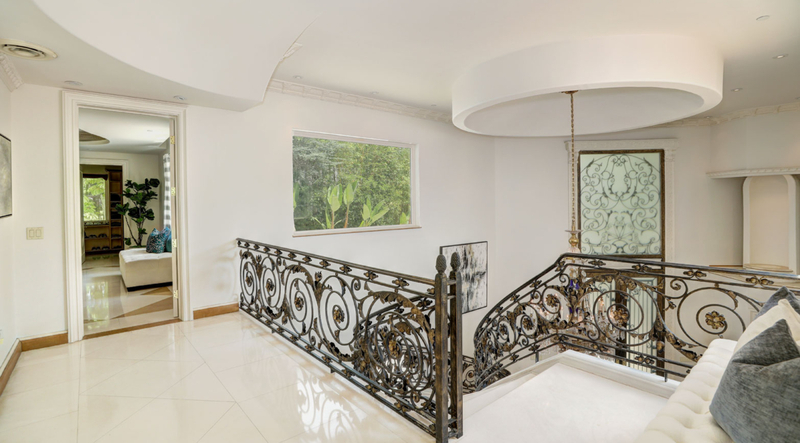 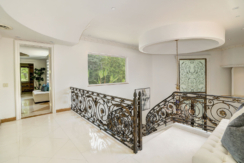 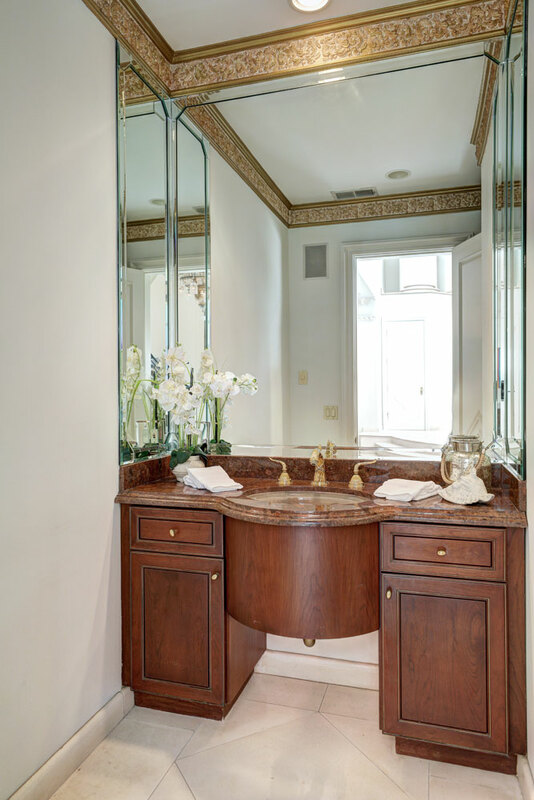 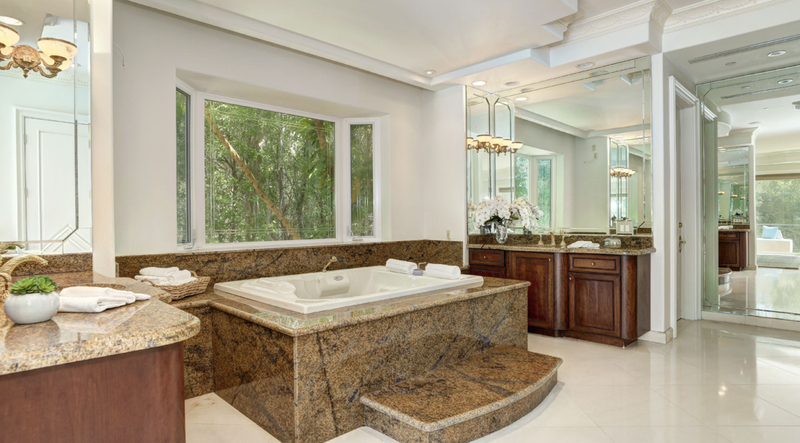 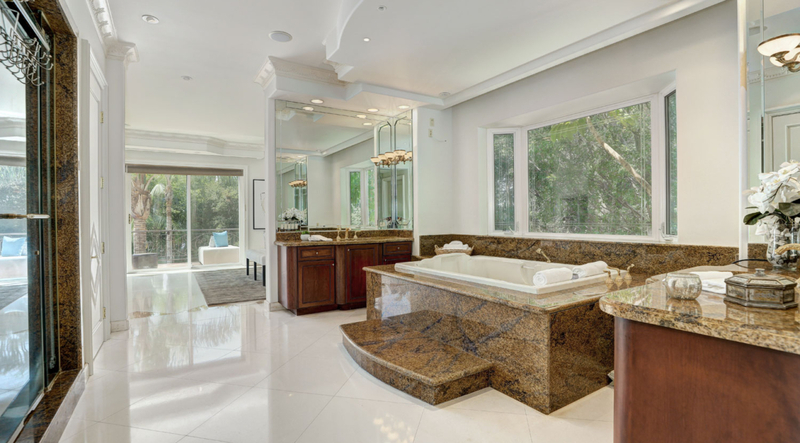 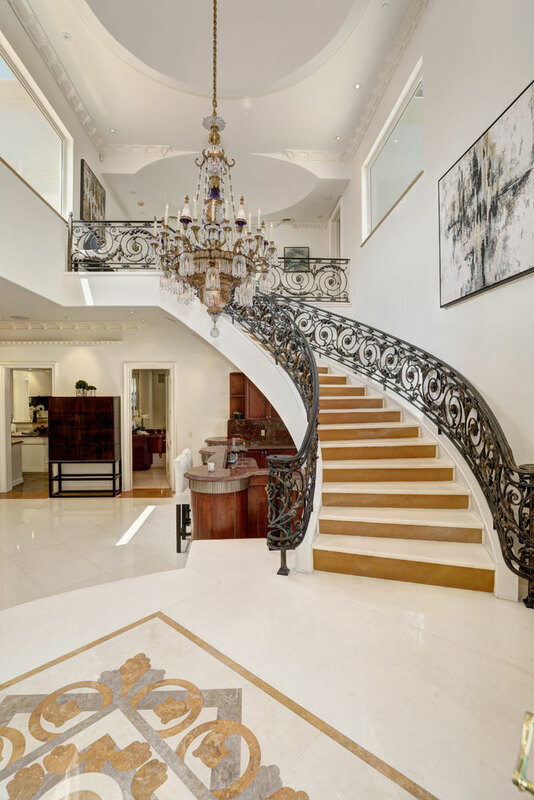 Up the grand sweeping staircase is a luxurious master bedroom with a large spa bathroom including steam shower, two large walk-in closets and a private balcony with view. 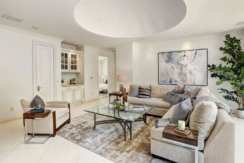 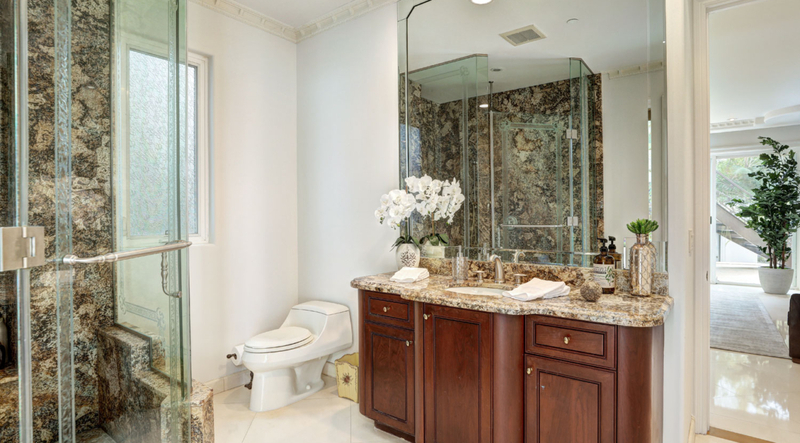 Two additional large bedrooms en-suite with both baths elegantly designed and finished. 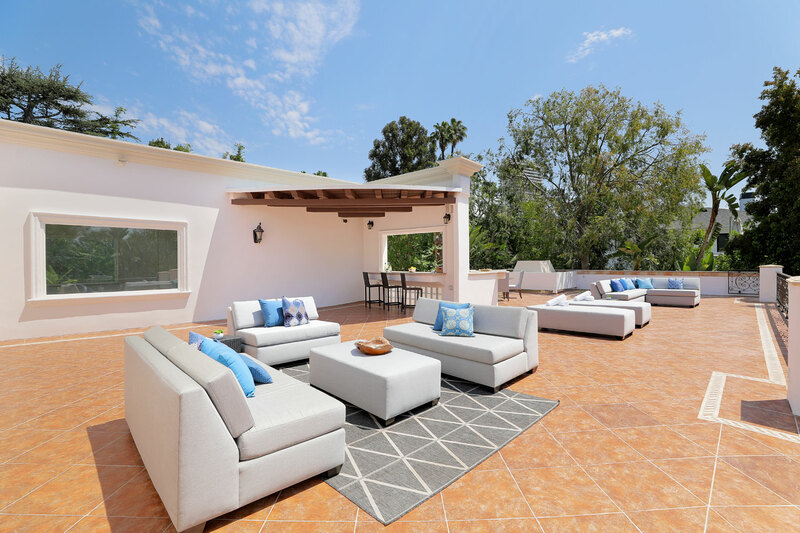 A large slate deck area with views and a bar-area complete the second floor amenities. 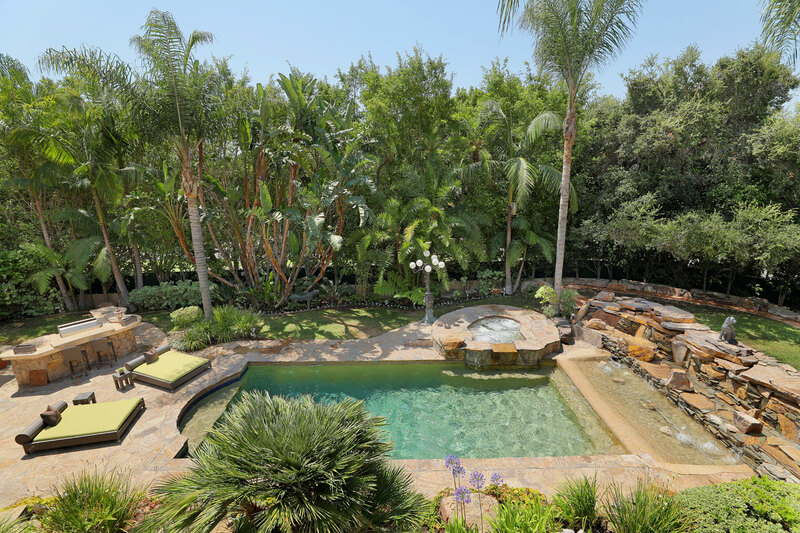 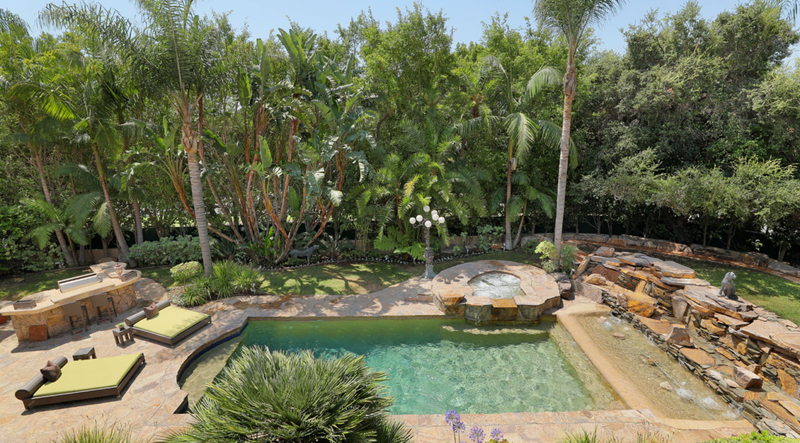 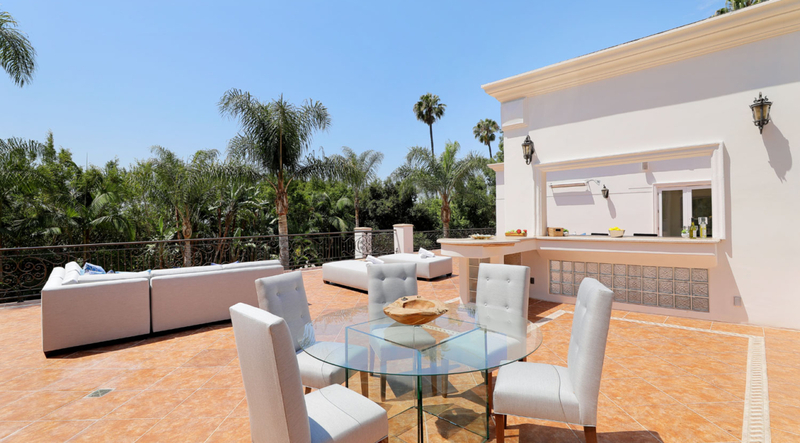 The lush, manicured landscaped and professionally designed private grounds have a salt water pool, slate waterfall, fire pit, bar & BBQ area are perfect for entertaining. 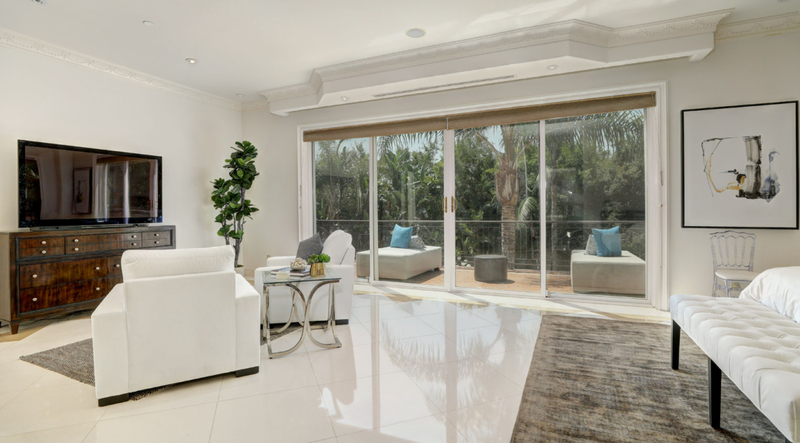 There is a three car garage and room for additional three cars in gated motor court. 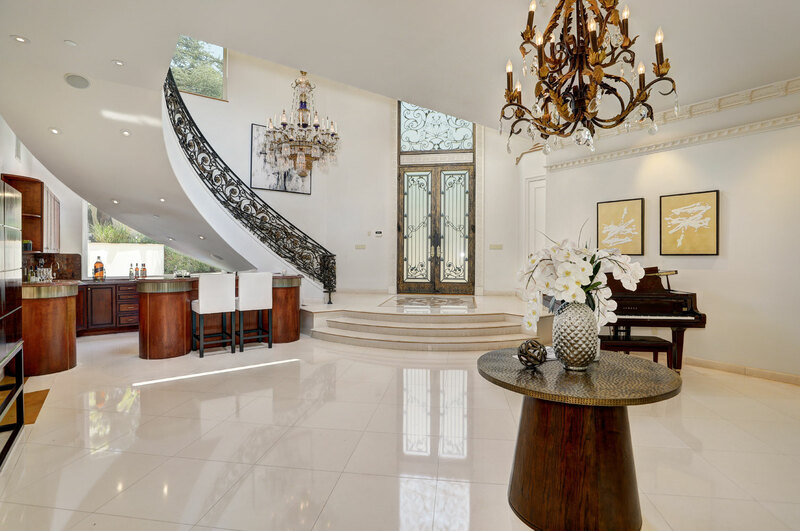 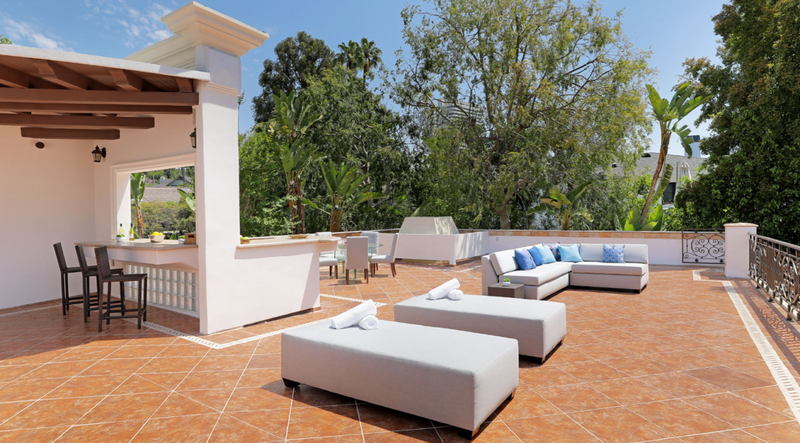 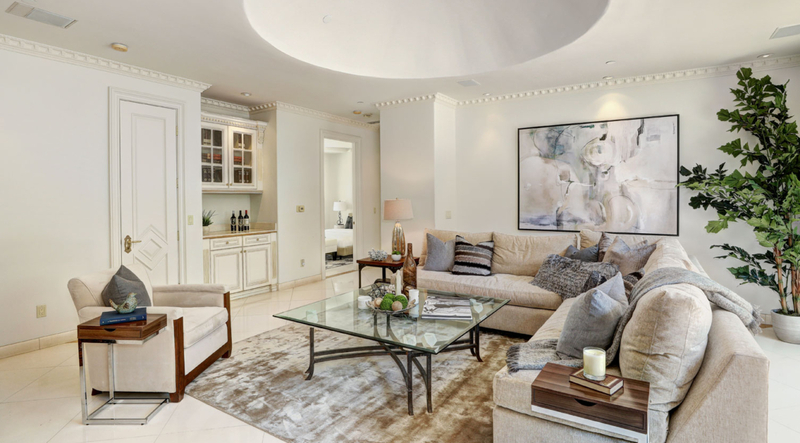 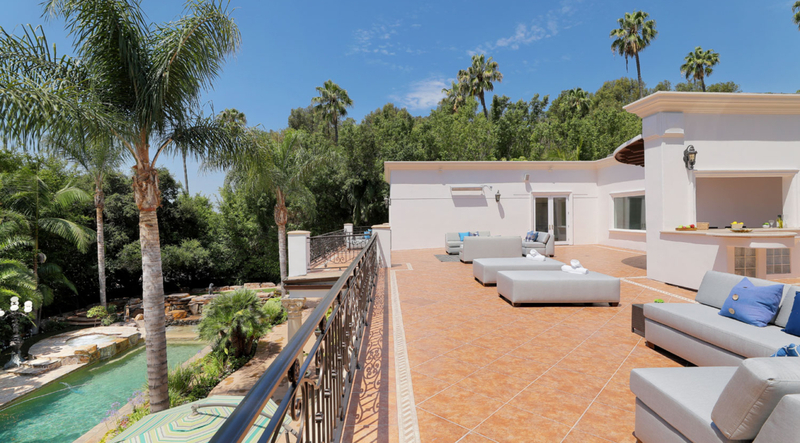 This is an exceptional property exuding elegance and style.